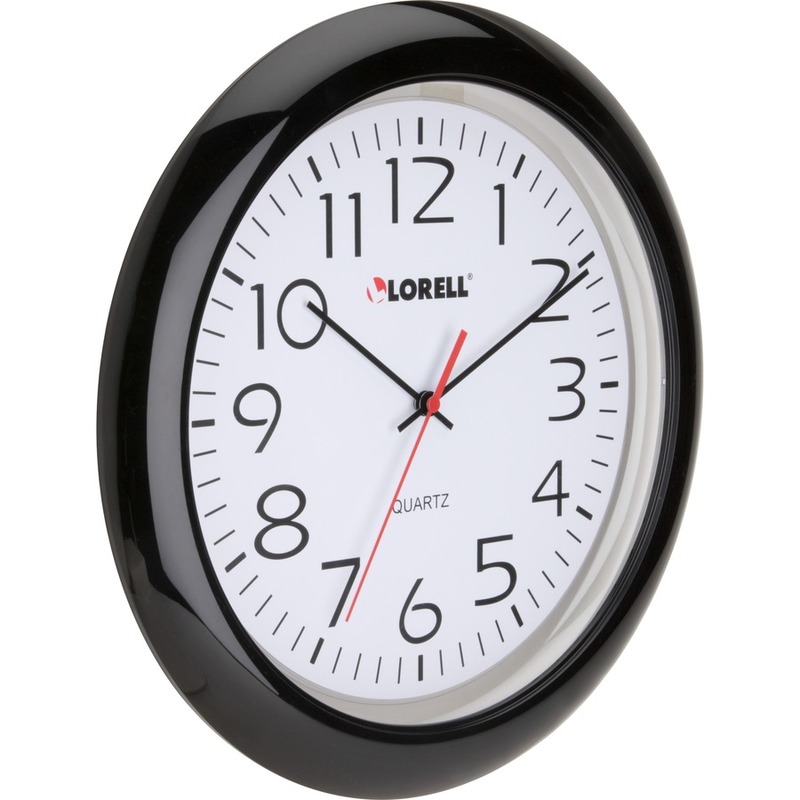 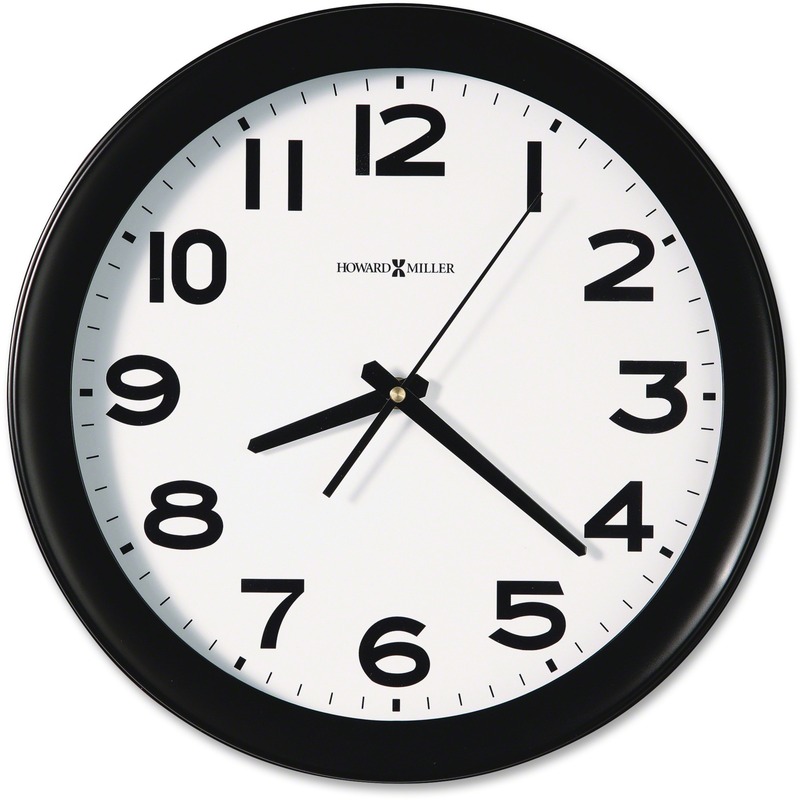 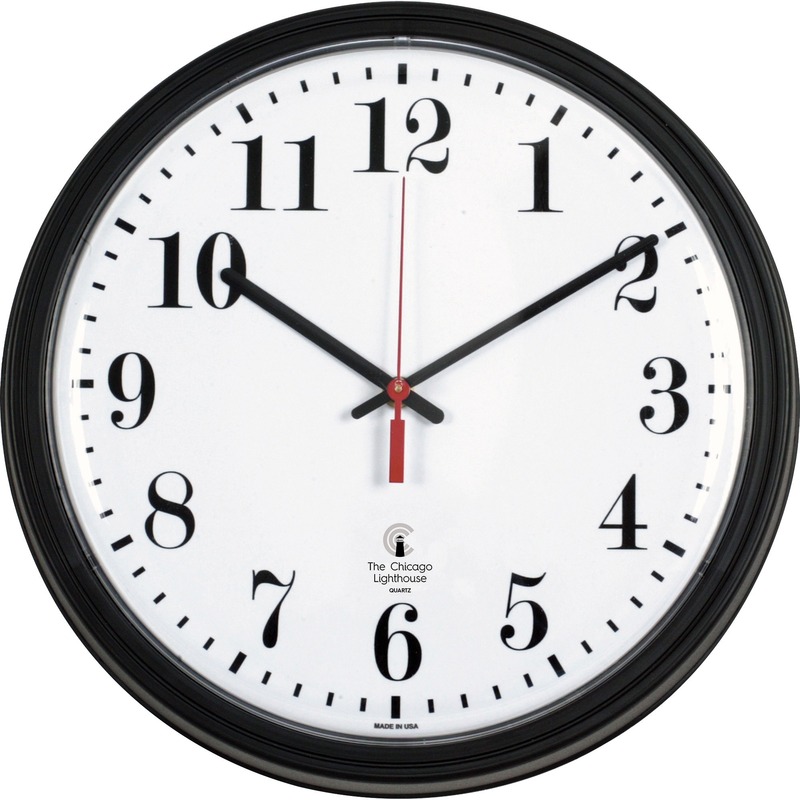 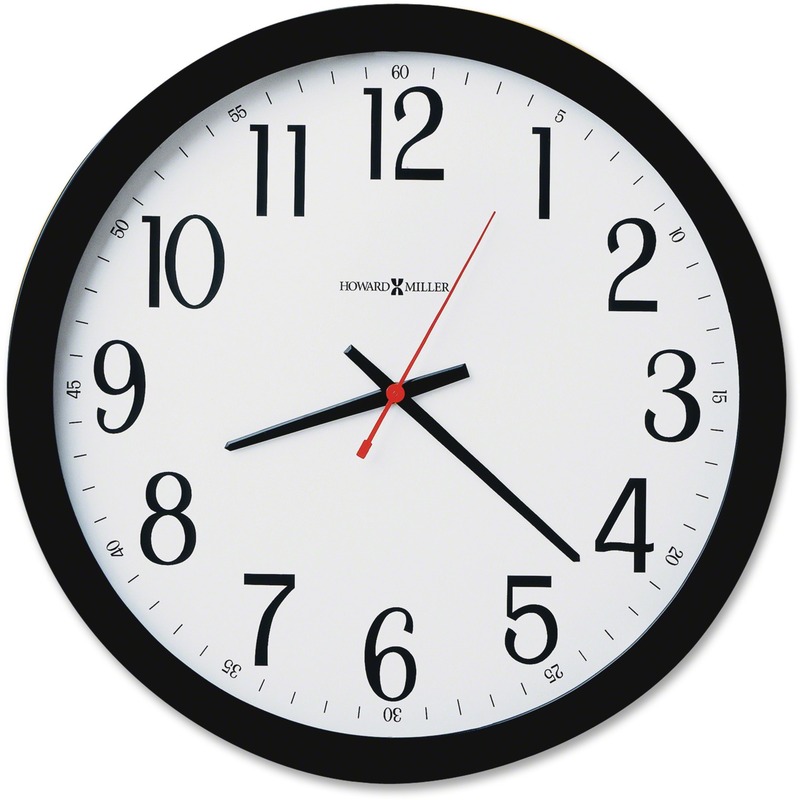 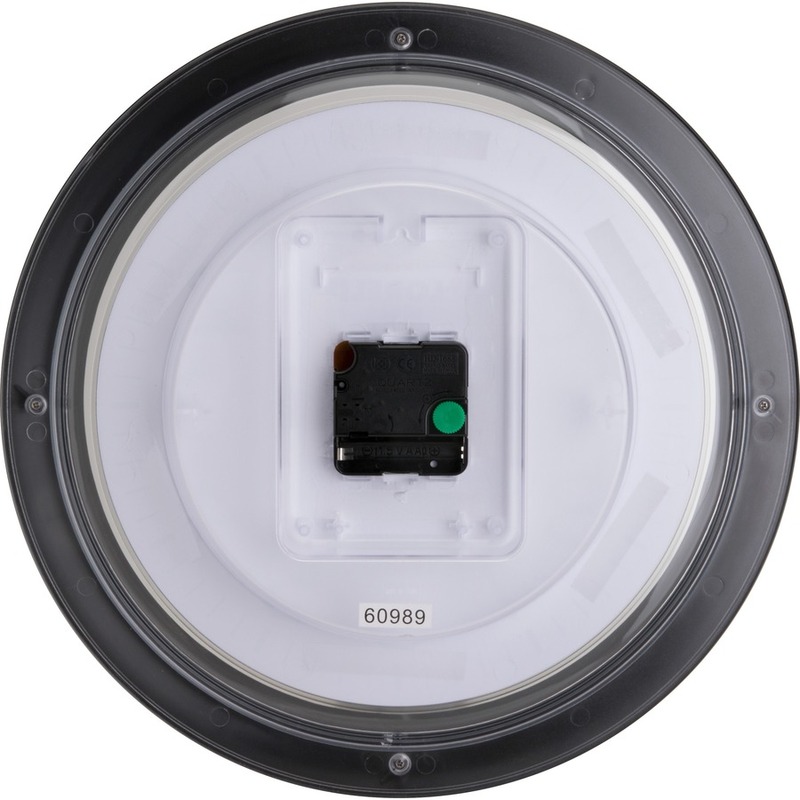 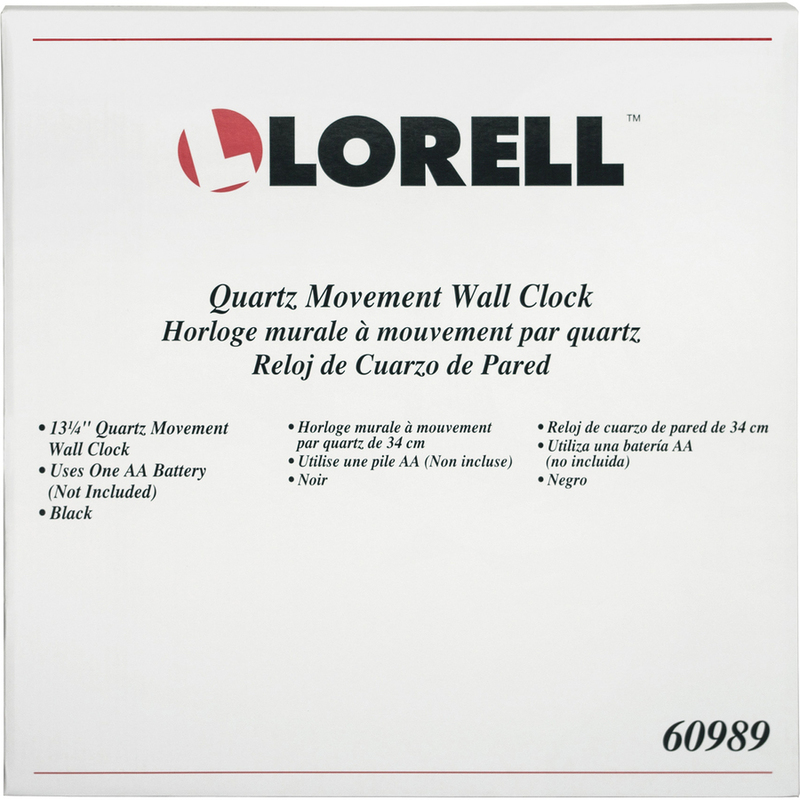 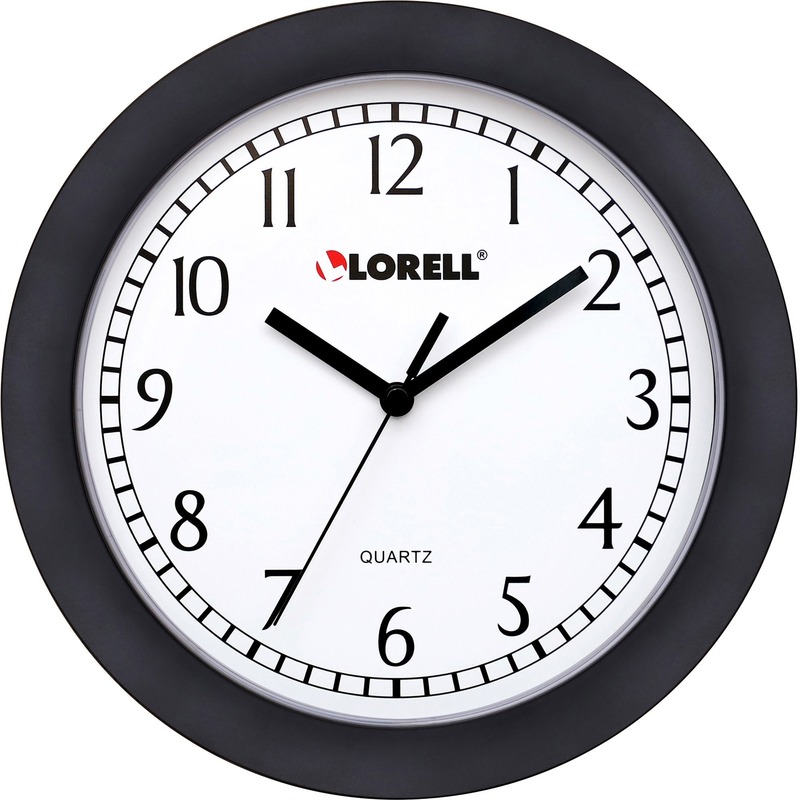 13-1/4" round wall clock features Quartz movement and a black frame. 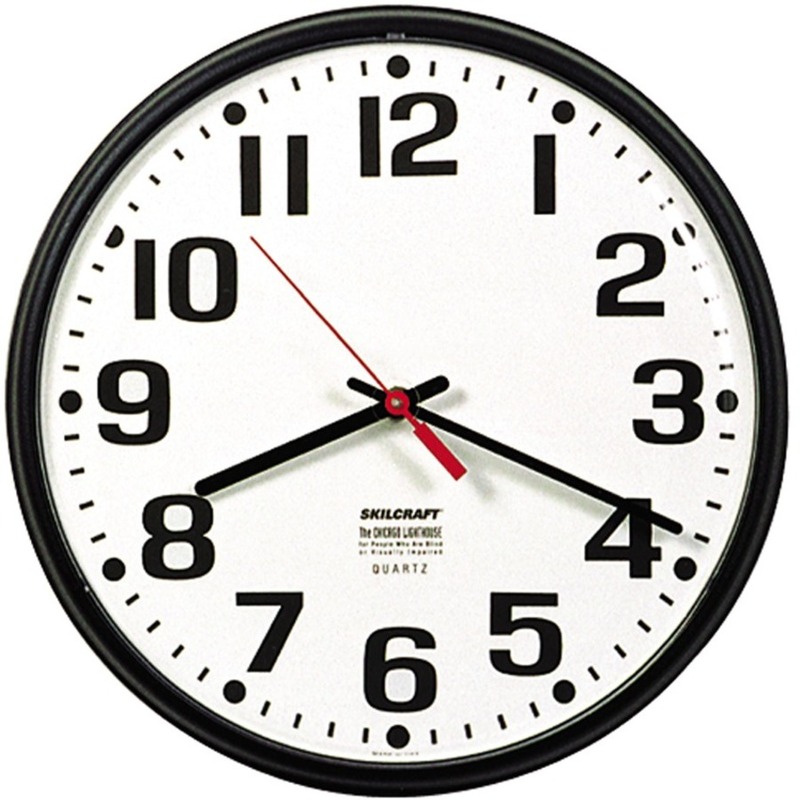 Easy-to-read white dial has Arabic numerals, black minute and hour hands, a red second hand, PVC clock face and glass front lens. 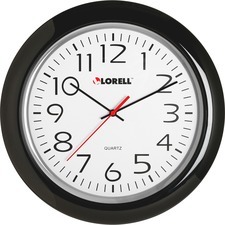 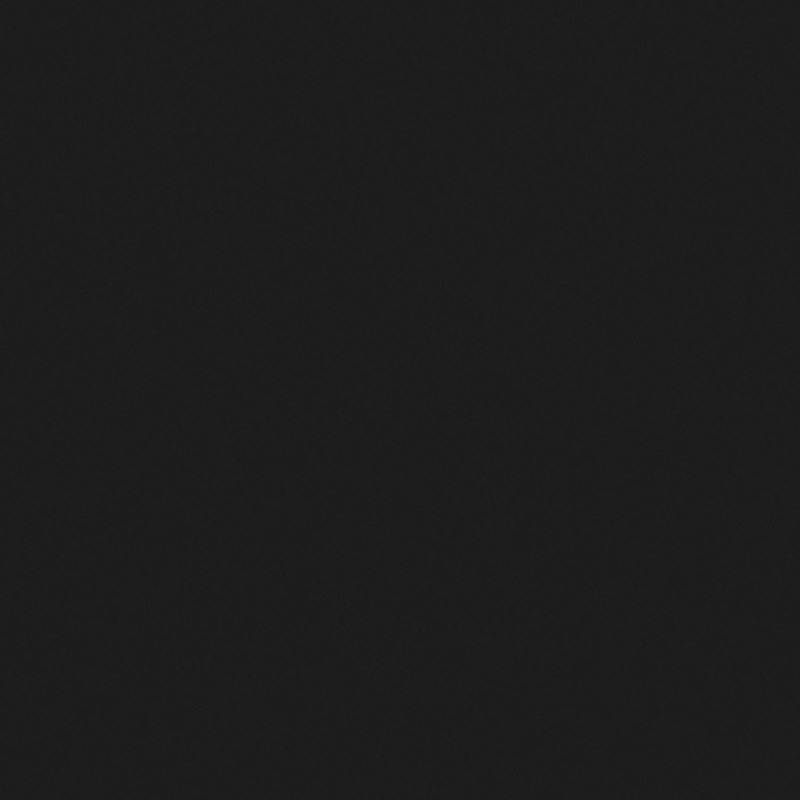 Wall clock runs on one AA battery (sold separately).